Not all project details can be updated on your project page. You will have to update it through the Current Projects page. From your navigation bar, go to Management > Control Panel > My Projects > Current Projects. Type in Current Projects in the upper right corner of your portal then click the result. 2. 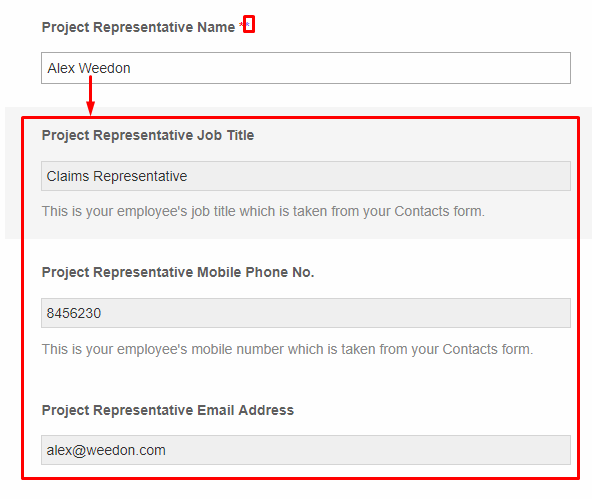 Locate your projects on the table then click the Update button on the Action column. 3. You won't be allowed to update your project type if there is an ongoing claim. This is only applied to Payment Claim System projects. If you wish to update your project type, you must withdraw all your claims. If your project is a Cost Plus Contract or a General Payment Claim, you can update your project type anytime. 4. Fields with red asterisks are required while fields with blue asterisks are automated. It means that the succeeding fields will be automated once you selected from your existing contacts. If you typed in a name that doesn't exist in your contacts page, a prompt will be displayed and you will be asked to add the contact to your library. Fill out the form then click Save. 5. 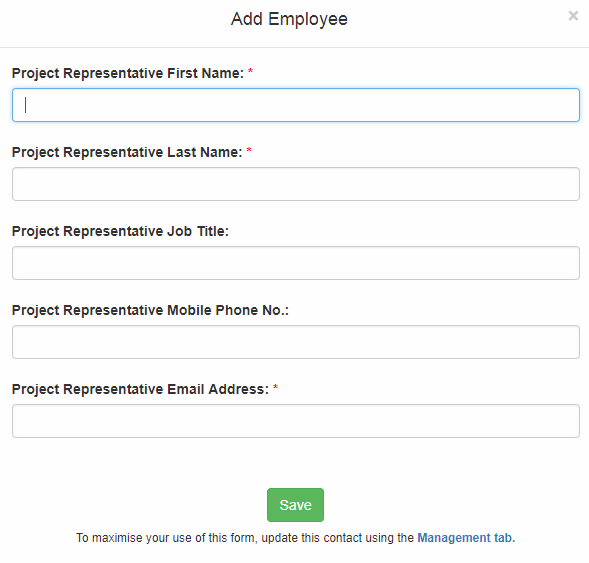 Update the fields under your project details then click Submit. Changes will be applied and will be reflected to your project page.